There has been so much interest in my Exiles Class that the current class, which is full, is already started, and I will be offering a second Exiles Class in February. The prerequisite for this course is the IFS Basic Course or equivalent. If you aren’t sure if you qualify, contact me. I have had many requests to offer a Basic IFS Course at a time that works for Europeans and others who haven’t been able to attend my Basic Courses because of the time difference. So I will be offering one on my Monday morning, which is the afternoon on the east coast and the evening in Europe. 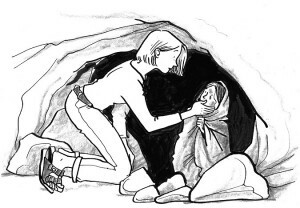 The Basic Course teaches you how to access Self and work with protectors. It teaches you how to work on yourself using IFS and how to do peer IFS counseling with other people in the class. Therapists and coaches also take the class to learn about IFS, though it is not professional training in IFS. The course is experiential; it includes practicing IFS sessions for homework in pairs, group exercises, and demonstration IFS sessions with volunteers from the class. I have pushed back the starting date for the Inner Critic Course in order to allow more people to enroll. It will now start on Oct. 16. Develop the grounding and strength to separate from your Critic’s message so you have room to breathe and find your center again. Use IFS to transform your Critic and heal your Criticized Child to support your self-esteem and confidence. 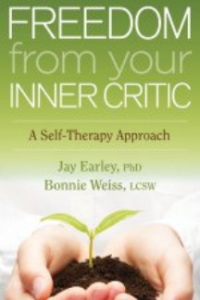 This Inner Critic Course consists of live sessions by videoconference where you get to interact with Jay and a small number of other participants. Since we can see each other, it allows us to really create connection and trust in the group. We will teach you how to do this powerful inner work and demonstrate it using live IFS sessions with volunteers from the class. You will also be paired up each week with someone from the class to practice doing an IFS session on yourself with your partner witnessing and helping you. The Inner Critic is the part of you that judges you, pushes you, and undermines your self-confidence. It can make you feel worthless, ashamed, guilty, depressed, or inadequate. Actually, you probably have more than one Inner Critic part, each of which judges you for something different or in a different way. I have learned how to best work with these difficult parts using Internal Family Systems Therapy (IFS) in order to transform them into inner allies. Many people can use IFS successfully on their own, without a therapist, and I have put together a step-by-step IFS procedure for transforming your Inner Critic and developing self-confidence. This is explained in my book, Freedom from Your Inner Critic. 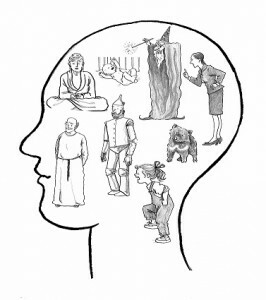 These Inner Critic parts aren’t quite what they seem to be. They are actually trying to help and protect you even though their effect is to harm you. In this course, you will learn how to work with your Inner Critics using IFS to make friends with them and then transform them. In this course, you will learn about the seven types of Inner Critic parts and discover which ones are the most harmful to you. You will learn how to discover the exiles (wounded inner child parts) that are being protected by your Inner Critic and how to heal them in order to free up your Critic from its judgmental job. You will discover how to develop your Inner Champion, which is the healthy part of you that can support and encourage you in the face of Inner Critic attacks. This work will help you develop Self-Esteem, Ease, Pleasure, Aliveness, Courage, and other healthy capacities that have been blocked by your Inner Critics. This course consists of 6 two-hour classes by videoconference where you get to interact with me and a small number of other participants. Since we can see each other, it allows us to really create connection and trust in the group. I will teach you how to do this powerful inner work and demonstrate it using live IFS sessions with volunteers from the class. You will also be paired up each week with someone from the class to practice doing an IFS session on yourself with your partner witnessing and helping you. p.s. If you missed the Inner Critic webinar, you can click here to see it. In these four session video-conference classes you will learn about the Internal Family Systems Therapy (IFS) model of psychotherapy. We will discuss the IFS understanding of parts, the structure of the psyche, how to access the true Self, working with protectors (defenses), and healing exiles (wounded child parts). There will be lecture and discussion, live demonstrations, case consultation, and (optional) practice IFS sessions in pairs for homework. Small learning group/s will be limited to 8-10 persons maximum (a waitlist will run for next class). These classes have been scheduled to be compatible with the Australian timezone however participants from all over are invited to join us. Equivalent times in US Pacific/Eastern timezone – all welcome! This class will prefer you for the Advanced Melbourne Workshop in June. In this four session video-conference class you will learn about the Internal Family Systems Therapy (IFS) model of psychotherapy. We will discuss the IFS understanding of parts, the structure of the psyche, how to access the Self, working with protectors, and healing exiles. It features lecture and discussion, demonstration IFS sessions, and pairing up for practice IFS sessions. Small learning group/s will be limited to 8-10 persons maximum (a wait-list will run for next class). These classes have been scheduled to be compatible with the Australian timezone. However participants from all over are invited to join us. Click http://sensemaking.com.au/ifs-training2016 for more information or to enroll. Equivalent times in US timezones – all welcome! The class is open to people everywhere. Find out why your relationships get mired in conflicts, power struggles, distancing, or deadness rather than providing the love and caring you want? This course will help you understand your problematic relationship patterns and those of your current or past partners. For example, are you Dependent, People-Pleasing, or Conflict-Avoiding? Is your partner Controlling, Passive-Aggressive, or Distancing? You will also learn how to work through and transform these patterns using IFS. And you will discover how to cultivate the healthy capacities that make relationships work, for example, Self-Support, Assertiveness, Intimacy, Cooperation, and Caring. This course covers four of the most important interpersonal dimensions in the Pattern System—Intimacy, Conflict, Power, and Care. 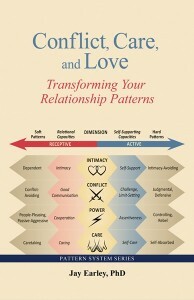 It is based on the newly published book Conflict, Care, and Love: Transforming Your Relationship Patterns. For more information on this book, click http://www.personal-growth-programs.com/store/pattern-system-books/Conflict-Care-and-Love. 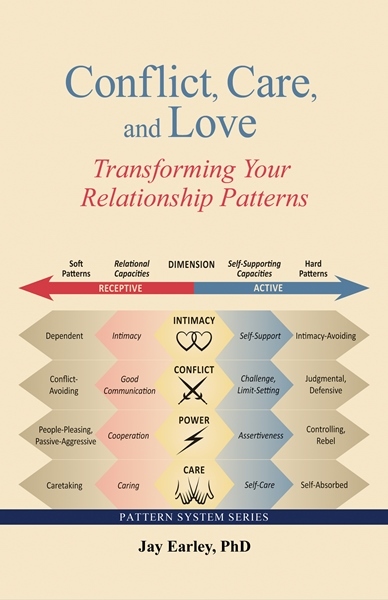 The patterns and capacities in these dimensions deal with how you relate to all people in your life, and they are especially relevant for love relationships. Learn how to work through patterns of yours that get in the way of healthy relating. Learn how to deal with your partner’s patterns. 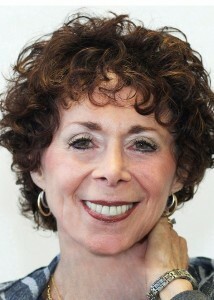 If you are a therapist or coach, learn how to understand your clients’ patterns and how to help them. IFS provides powerful tools for transforming problematic patterns which integrate beautifully with the Pattern System. This course will be a webinar, so I will be showing you various graphics about these dimensions of the Pattern System on the web, so plan to have access to a computer or tablet, if possible. Self-Therapy Journey (STJ) is a new interactive web program that enables you to systematically classify, explore, and transform your psychological issues. You can think of it as a sophisticated and interactive set of self-help books, plus guided meditations and customized reports. STJ is based on IFS and the Pattern System. 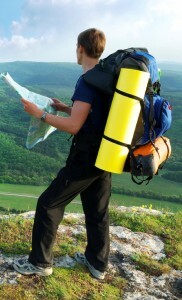 What can STJ help you do? It provides recorded guided meditations for deep exploration. It generates a customized report for each of your patterns. It guides you in creating homework practices. It transforms problems into healthy capacities. It helps you track your progress. In this course, you will learn how Self-Therapy Journey works and how to get the most out of it. The Pattern System is a systematic approach to understanding your personality that can lead directly to psychological healing and personal growth. It also helps you to understand other people—why they respond as they do, what makes them tick. In this course, you will also learn about the Pattern System—how to chart your personality, and how to choose which patterns and capacities to work on in STJ. By taking this course, you will be able to get access to the Therapist-Guided Version of STJ that includes Stage 2 work on childhood wounds, if this is appropriate for you.